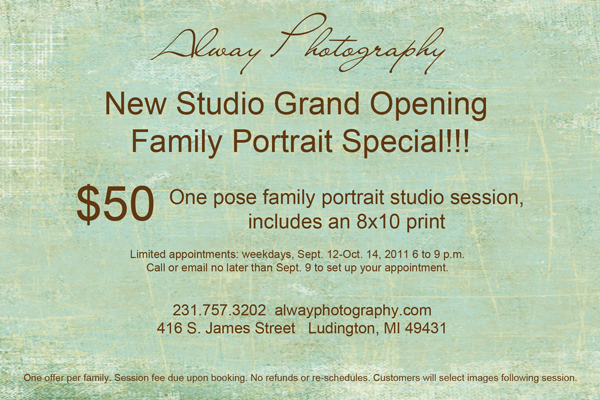 One pose family portrait studio session, includes an 8×10 print for $50. We have limited appointments available for this special, which runs weekdays between Sept. 12 and Oct. 14. Session times are from 6 to 9 p.m. and will 30 minutes. Following the session you will select your 8×10 print. Call or email today to reserve your session: 231.757.3202 or alwayphotography@gmail.com.